In light of recent events I had to think hard again whether to make parts of this website available to paid subscriptions only, or keep it free for everybody. It was a tough decision. The extensive information given for the japanese catalogs CTA and AMP is unique worldwide. Please note that developing, expanding and maintaining this website and information presented as well as keeping the largest stock of CTA and AMP CDs takes a lot of dedication, time, work and money. 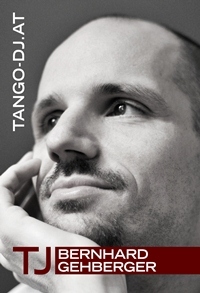 By ordering CDs with Tango-DJ.at you not only receive lovely and very rare tango music, but you help to keep this website and its information up and running accessable to everybody and for free. If you like to use the information presented on this website, please support it by linking to it or ordering with Tango-DJ.at. Now, what's up in this month's newsletter? There is the presentation of the latest three CTA October releases and a preview of the upcoming three releases of December/January. In addition there are massive updates of covers and tracklistings to both, the CTA and AMP catalogs. A special christmas sale of Audio Park CDs qualifying for a free CTA or AMP CD! A new CD-discography for Orquesta Típica Victor covering 1384 entries for 463 OTV recordings. Most likely this will be the last newsletter for this year, so I want to wish a Merry Christmas and a Happy New Year to all of you supporting Tango-DJ.at and all Tango aficionados dancing, organizing, DJ-ing, teaching, listening and collecting! Happy Tango to all of you and see you around 2013! Due to my recent trip to Japan I was able to find several out of print CDs which I was able to add to the CTA-catalog meanwhile. You may want to take a look at the catalog for this massive update of almost 30 new covers and tracklistings of rare CTA-CDs. In October CTA published three exciting new releases. Especially CTA-120 contains some extremely rare and exciting recordings of Orquesta Típica Victor like Loca and Sobre las olas (over the waves) which have not been available in such quality til today. I want to give credits to Theo "El Greco" for using some recordings of this CD at the Encuentro in Barcelona enableing me to hear them first time in milonga setup. Brand new information coming in this minute of upcoming new CTA releases in December 2012! They will be available most likely in the end of January! Check out my monthly newsletter and/or the updated pdf sheet of available CDs. If you want to make yourself or your beloved Tango-DJ, dancer, collector a very special tango music christmas present, then this might be the present to go for. Till 24 December 2012 this outstanding Juan D'Arienzo 11 CD set is on sale for 369,- EUR or for regular price of 395,- EUR and you get a CTA or AMP CD for free! Please find detailed information about those CDs at the Audio Park catalog page. With the latest release of the Orquesta Típica Victor Vol. 20 (CTA-120) Tango-DJ.at publishes a new CD-discography for OTV. This is not ment to be a discography, but a list of OTV recordings based on OTV discographies and added by the information on which CDs to find them. At the moment it covers 1384 entries for 463 OTV recordings. Any feedback welcomed.